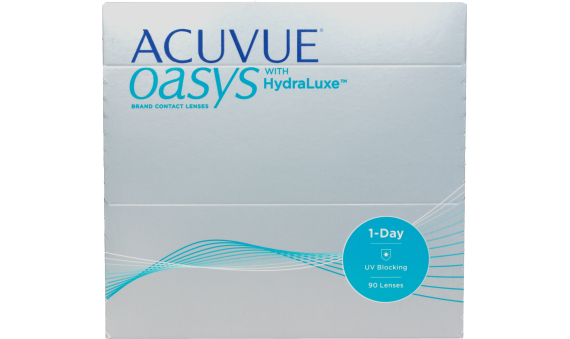 Experience excellent comfort all day performance with ACUVUE OASYS® Brand Contact Lenses 1-Day with HydraLuxe™ Technology. These lenses are made for the demanding days that can leave your eyes feeling tired, heavy and dry. 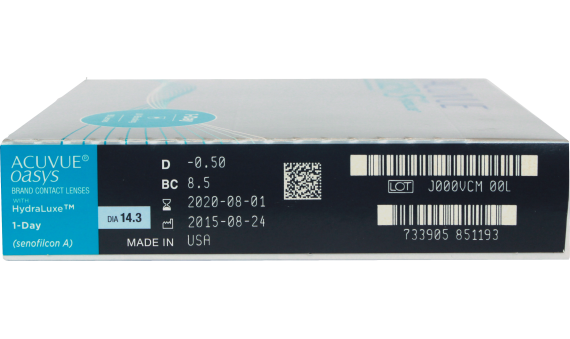 Plus they offer the highest level of UV blocking available in a daily disposable.Whether your eyes get fatigued from a long day of staring at digital devices or dry from spending time in challenging environments, these daily contacts help keep your eyes feeling fresh and comfortable.